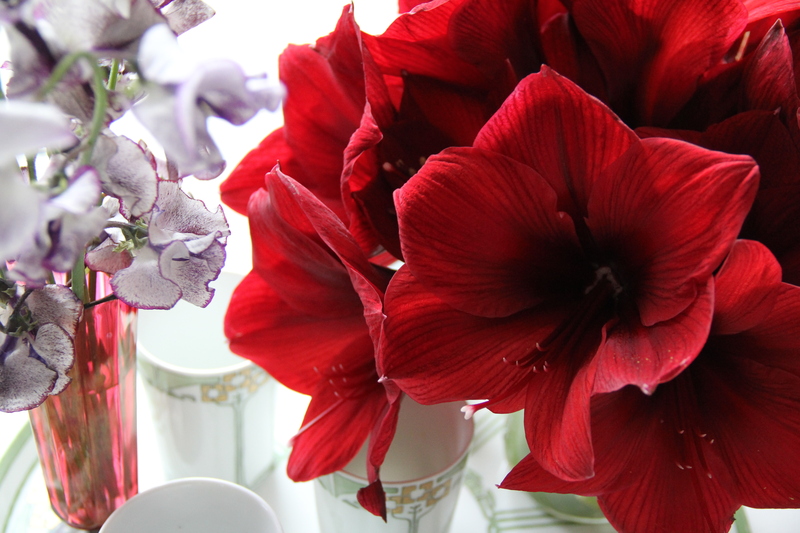 Some red amaryllis to help the month get going. Photography Beth Horta for Sweet Sabelle. 01 Feb	This entry was published on February 1, 2013 at 8:16 am. It’s filed under February Red and tagged Amaryllis. Bookmark the permalink. Follow any comments here with the RSS feed for this post. Gorgeous Amaryllis!! I do love that sweet pea thats peeking out the corner as well.